Prescription drug abuse has surpassed automobile accidents as the nation's leading cause of unintended deaths. Drug overdoses recently surpassed car crashes as a leading cause of injury-related death in the United States. But according to the Centers for Disease Control and Prevention, street drugs like cocaine or heroin didn't cause the overdoses. The CDC estimates that more than 16,500 people die each year from overdoses involving prescription painkillers. As the crisis has deepened, care providers—in emergency departments, family practice offices, pain clinics, or other medical settings—more frequently encounter patients faking pain and expecting a prescription for narcotic painkillers. In other instances, patients go "doctor shopping"—complaining of the same symptoms to multiple doctors to obtain drugs to feed their addiction or to sell. The White House recognizes prescription drug overdoses to be a national epidemic deserving immediate attention. In response, the Office of the National Coordinator for Health Information Technology (ONC) and the Substance Abuse and Mental Health Services Administration (SAMHSA) directed MITRE to study ways to address the problem. 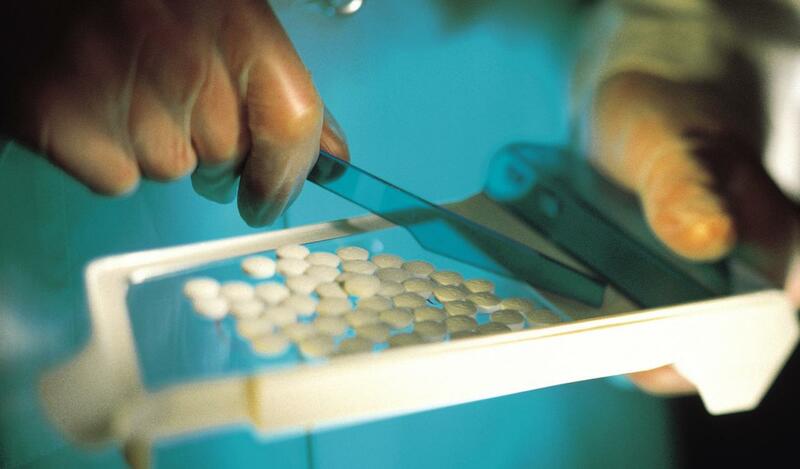 One of the most promising options involves using Prescription Drug Monitoring Programs (PDMPs). PDMPs are a vital tool for helping to identify patients who are abusing or seeking to sell painkillers. California established the first PDMP, called CURES, in 1939, but it wasn't until the mid-1990s that other states, many using federal grants, established these databases for their own jurisdictions. Site governance and technical maturity differ from one state to another, but all of them track prescription narcotic sales by gathering data from licensed pharmacies that dispense the drugs. What Is "Meaningful Use" in Health Care? Across the health care industry, hospitals, private practices, clinics, and other providers are adopting technology such as electronic health records to improve the quality and efficiency of health care. Clinical quality measures enable hospitals and health care providers to capture data that illustrates the impact health care technology systems have on health care quality. The data illustrates what's known in the health care community as "meaningful use" of technology. A PDMP can help medical teams establish a more complete medical history for each patient. This both improves patient outcomes and identifies care and drug use patterns that may separate suspected abusers from patients who legitimately need treatment. Law enforcement can also use these databases to identify providers whose business patterns raise suspicion that they're writing fraudulent prescriptions. But Jeffrey Hammer, principal information systems engineer and project lead for the MITRE work, says that while 43 U.S. states and territories have functioning PDMPs, "they are severely underused. Registration rates are between 10 and 15 percent of the [provider] population, and many who are registered don't use it." MITRE gathered input from stakeholders in the healthcare technology industry health information exchanges, data providers, PDMP software vendors, benefits managers, and standards organizations to better understand opportunities to use information in PDMPs. Using this information, the team selected pilot study participants in Indiana, Ohio, Washington, Michigan, and North Dakota. Participants included a medical practice, a pharmacy, a clinic, and several hospitals. Finally, the team identified ways, using technology already in place, to integrate the PDMPs with each participant's health IT system. For example, at Wishard Health Services, the public health system that serves Indianapolis, emergency services staff can access the state's PDMP, called INSPECT, but it required a process separate from the typical patient care workflow. Emergency staff seldom used the PDMP because it added work. The MITRE study revealed that INSPECT was already communicating with the Prescription Monitoring Program InterConnect (PMPi), a service that enables PDMPs in different states to talk to one another. As part of the pilot, the non-profit that developed Wishard's electronic health record (EHR) software wrote new code that enabled PMPi to act as an interface, linking the EHR with INSPECT. Prescription drug abuse is the No.1 unintended killer of people in the U.S. today—more than cocaine and heroin combined. The Office of the National Coordinator for Health IT says Prescription Drug Monitoring Programs, or PDMPs, can help stem the flow of illegally used narcotics to addicts and dealers. Participants in a MITRE study of PDMP use found that eliminating technical barriers and streamlining access to PDMP data increased usage and improved patient care. "PMPi wasn't set up to do that, so no one had contemplated it in the past," Hammer says. "It turned out to be an ingenious solution." As a result, Wishard's emergency staff could search their own state's PDMP database without adding steps to the patient admission process. MITRE brought the research and systems engineering expertise needed to reconfigure or adjust the process so all the necessary health IT and PDMP applications functioned together. At Wishard, the team outlined a new process, which the hospital's emergency staff has embraced: When a patient registers at the emergency department, the hospital's electronic admissions system automatically triggers a query to INSPECT through PMPi. INSPECT automatically generates a report that flows through PMPi to the emergency services department, where it becomes part of the patient's electronic health record. Hammer says all the studies have shown that participants were most satisfied with their new workflows when technology automated the majority of the workflow tasks. ONC and SAMHSA have extended MITRE's assignment, enabling the team to expand the pilots, reach out to more medical providers, and show how, using existing technology, medical providers can improve tracking of prescription drug abuse. For example, in Indiana the team is working with the developers of PMPi to create and test receiving data from three states' PDMPs. An automatic query from Wishard's EHR software would go to PMPi, and the PMPi software would search data from Indiana, Michigan, and Ohio. Palmer MacKie, medical director of the Integrative Pain Center at Wishard Health Services, says the study "has been really instrumental in helping providers understand the lack of fidelity with some of their patients. The stories [patients] give are incomplete... The easier patient data is to obtain, the more often that data will be used. The more often it is used, the safer the [medical] practice can be."